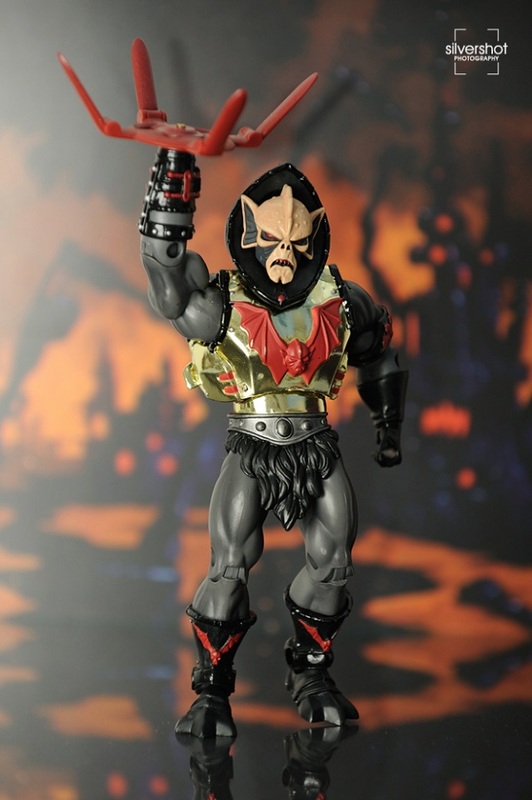 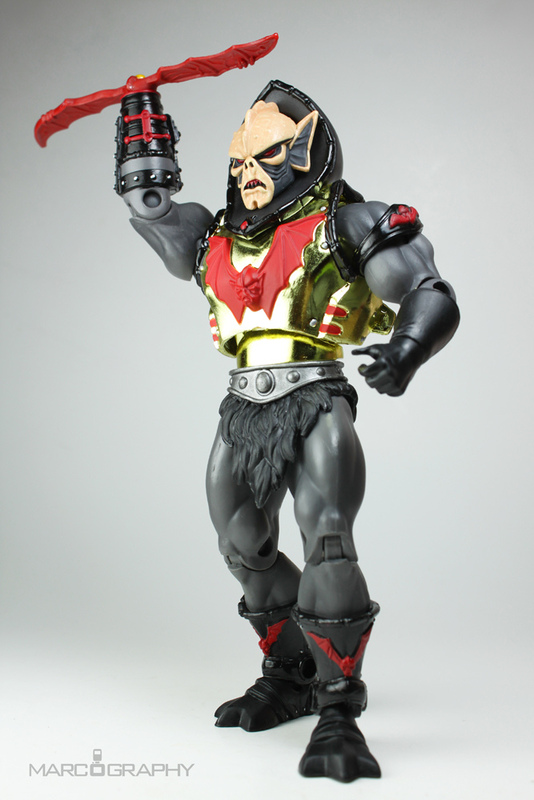 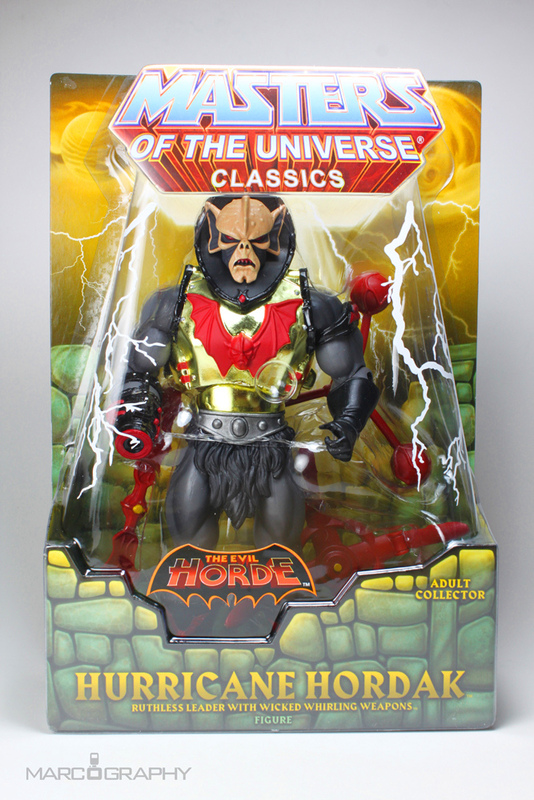 After being released from exile in Despondos by Evil-Lyn, Hordak returned to Eternia with his ageless army to once again claim its hidden magical properties for his own. 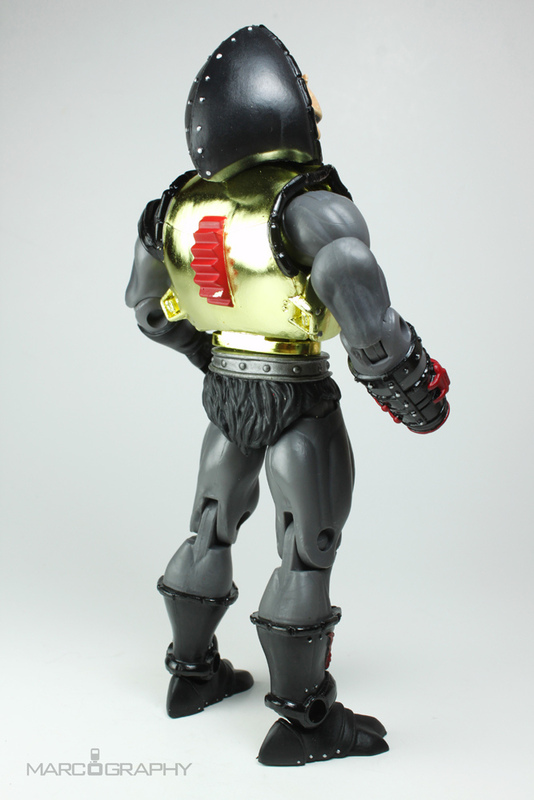 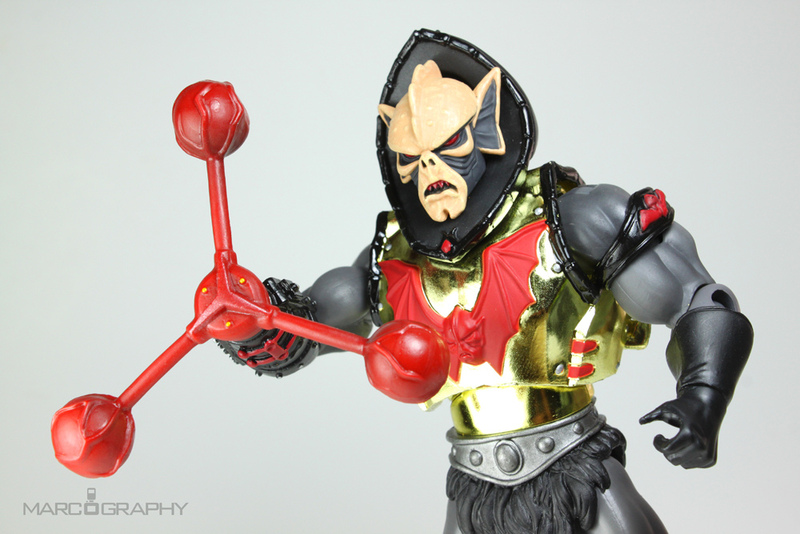 Finding his former pupil Skeletor on the throne following the apparent “death” of King Randor, Hordak upgraded his armor with a Hurricane Blaster which he used to challenge the Lord of Destruction and drive the Snake Men back into hibernation. 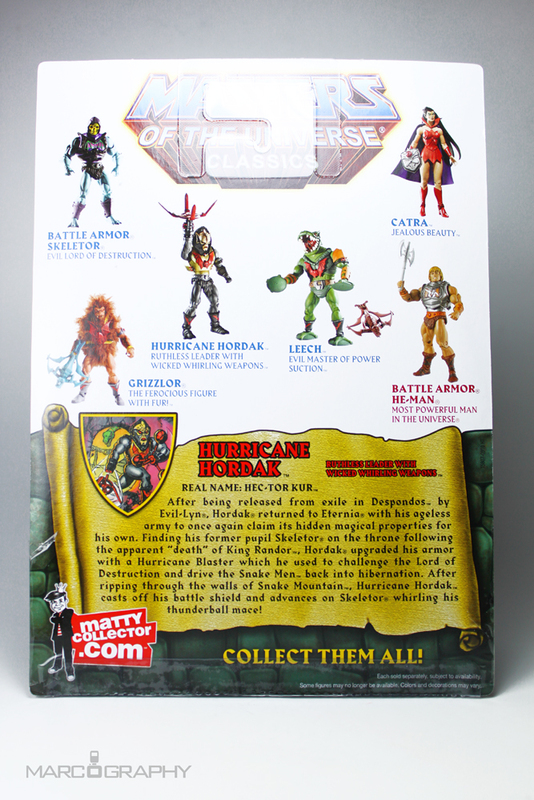 After ripping through the walls of Snake Mountain, Hurricane Hordak casts off his battle shield and advances on Skeletor whirling his thunderball mace!